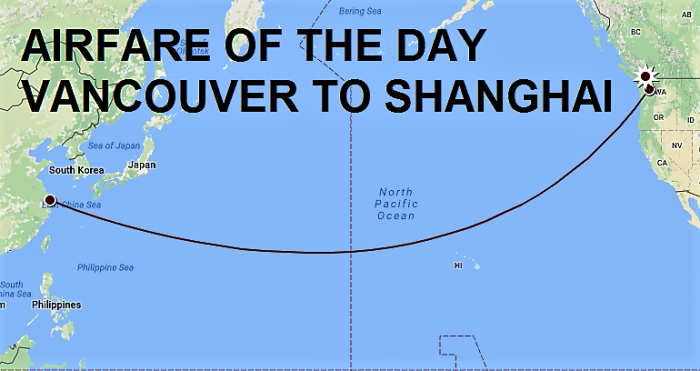 Today’s Airfare of the Day goes to Delta Business Class excursion non-refundable special fares between Vancouver and Shanghai. Mileage accrual was estimated for round trip travel without considering elite status bonuses. 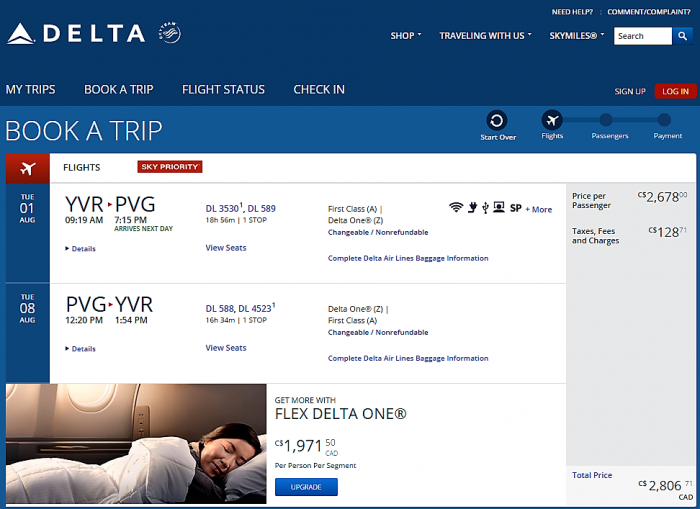 Good price for a business class ticket during the peak summer travel season. Routing is determined per a Maximum Permitted Mileage (MPM) of 6733 miles with point deductions for routings via LAX or HNL, where extra mileage is allowed.